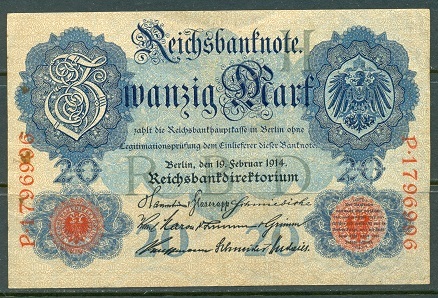 During the German Empire, some beautiful Imperial banknotes were issued. 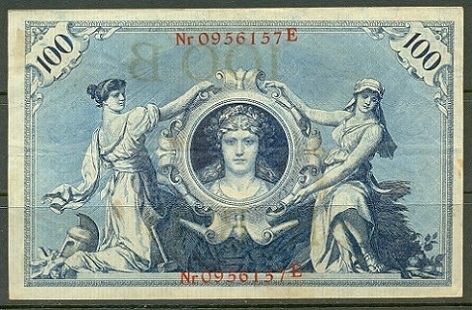 Though banknotes, and coins for that matter, have little to do with philately, they make great ephemera items that can enhance the beauty and value of one's collection. Banknotes or paper currency have been around since the late 17th Century. They are usually issued by private banks or federal treasuries, as promissory notes, backed by deposits of gold and silver bullion in the particular institutions. The latter part of the 19th Century and the early part of the 20th Century saw some very hard economic times, and people just didn't trust banknotes -- they trusted gold and silver coins! 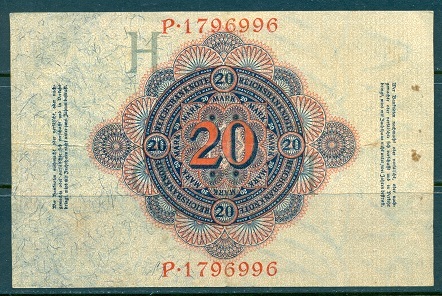 Many private banks in the U.S. issued banknotes during the 19th Century, and when the banks would fail, the promissory notes would be worthless. The government of the Confederate States of America issued a huge amount of banknotes, and by half-way through the Civil War, they were worthless. They are worth more today, than in the 1860's, due principally to the fact that they are avidly collected for their historical and artistic importance. Before the Great Depression, banknotes saw limited usage, until the mid-1930's, when many governments passed laws prohibiting individuals from owning large amounts of bullion, in order to encourage the use of their banknotes. Today, banknotes are no longer even based on bullion deposits. They are issued solely on the individual's "trust" in the federal government. 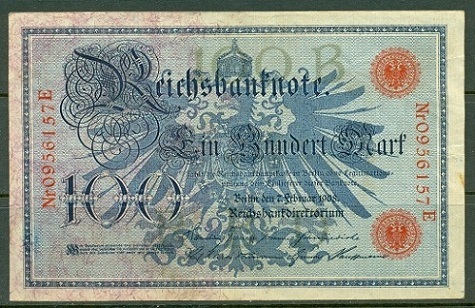 Below are some Imperial banknotes that I have in my stamp collection. They are wonderful examples of the engraving and visual arts of the early 20th Century. The banknotes below are not the actual size. The images have been greatly re-sized to fit the constraints of this web page.